Celebrated African cartoonists including Zapiro of South Africa, Gado of Kenya, and Asukwo of Nigeria join top scholars and a new generation of scholar-cartoonists from the fields of literature, comic studies and fine arts, animation studies, social sciences, and history to take the analysis of African cartooning forward. 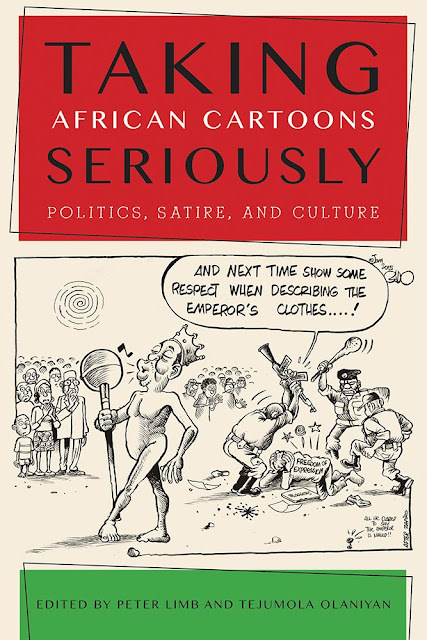 Taking African Cartoons Seriously presents critical thematic studies to chart new approaches to how African cartoonists trade in fun, irony, and satire. The book brings together the traditional press editorial cartoon with rapidly diverging subgenres of the art in the graphic novel and animation, and applications on social media. Interviews with bold and successful cartoonists provide insights into their work, their humor, and the dilemmas they face. This book will delight and inform readers from all backgrounds, providing a highly readable and visual introduction to key cartoonists and styles, as well as critical engagement with current themes to show where African political cartooning is going and why.